We’re excited to offer the Newcomers Leadership Training Program for free through the support of the Cultural Innovation Fund. This aquatics leadership program is designed for newcomers to Halifax and surrounding areas, in partnership with the Nova Scotia Lifesaving Society, Immigrant Services Association of Nova Scotia (ISANS) and the YMCA Centre for Immigrant Programs. The Newcomers Leadership Training Program takes place between December 2018 and June 2019 and is open to 12 male and 12 female candidates ages 16-24. Those accepted will participate in eight phases of training including swimming proficiency, Bronze Medallion certification, Bronze Cross certification, Standard First Aid certification and National Lifeguard certification. The program concludes with employment preparedness sessions to assist the participants in finding jobs locally. To apply to the Newcomers Leadership Training Program, please complete the application form. 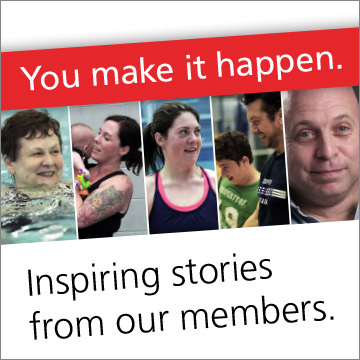 For more information, please email Ahmed Abdel-Hamied, Aquatics Program Coordinator at abdelha@canadagamescentre.ca.